New York, N.Y. : Harper Paperbacks, 1990. 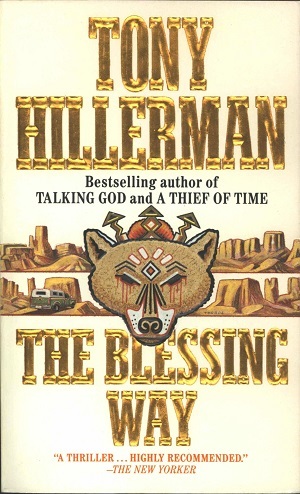 "When Lt. Joe Leaphorn of The Navajo Tribal Police discovers a corpse with a mouth full of sand at a crime scene seemingly without tracks or clues, he is ready to suspect a supernatural killer. Blood on the rocks... A body on the high mesa... Leaphorn must stalk the Wolf-Witch along a chilling trail between mysticism and murder."